The audio production is very clean, no muddy audio or obvious edits. Ray Greenley's narration is largely unobtrusive, allowing the listener to absorb each story without undue distraction. Occasionally the cadence sounded forced and stiff. I believe this was due primarily to Mr. Greenley's adherence to clear diction more that anything else, making it very difficult to fault. His characterizations are clear and distinct, and the dialogue, by and large, flows smoothly. 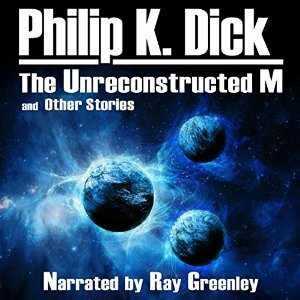 Sign into Goodreads to see if any of your friends have read The Unreconstructed M and Other Stories.